In Utah, possessing a pipe, bong, rolling papers, baggies, straws, glassware, roach clip or any equipment, product, or material that is modified for making, using, or concealing drugs can be charged as possession of drug paraphernalia. A conviction for drug paraphernalia can carry many of the same consequences of actual drug possession. A conviction for possession of drug paraphernalia may seem like a minor offense, but it can carry serious penalties that make it worth your while to defend yourself against the charges. Some people think it’s easier to pay the fine and move on. It is ALWAYS best to get the advice of a competent attorney before pleading guilty to any charge. An arrest for possession of drug paraphernalia is more serious than it may appear at first glance. As a serious criminal charge, it should be treated seriously by anyone unlucky enough to be facing such charges. 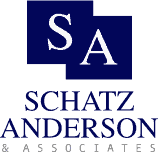 Schatz, Anderson & Associates, LLC, is a Utah criminal defense law firm that has successfully handled thousands of criminal cases on behalf of defendants throughout Utah, including Salt Lake City, Provo and Ogden. Many of our attorneys have attended the Advanced Roadside Impaired Driving Enforcement (ARIDE) course that officer’s take and are certified field sobriety test instructors. With more than 40 years’ combined experience to offer, our attorneys are highly qualified to offer protective advocacy on behalf of our clients who face drug possession charges.